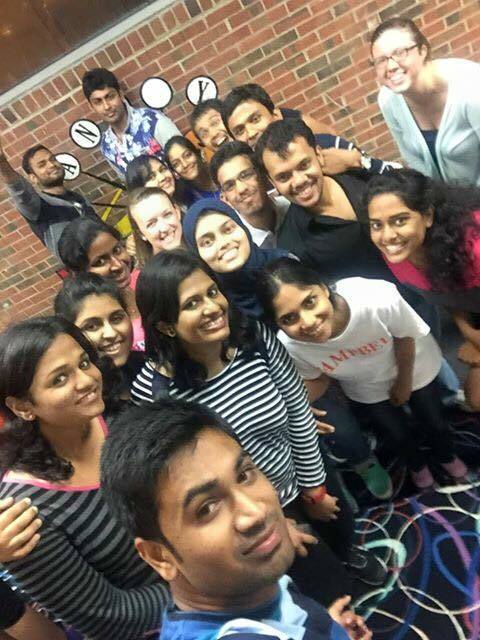 International Student Services (ISS) exists to provide a wide variety of services and activities for international students at Campbell University. Students are provided with opportunities to participate in on- and off-campus events for international students as well as to become acclimated into the university as a whole. There are many informal on-campus activities provided, ranging from international orientation and culture nights to game nights and pizza parties. Off-campus trips are provided as well to places around North Carolina, including the beach, Carowinds amusement park, bowling and ice skating to name a few. There are also weekly shuttles to the local Wal-Mart and trips to buy winter clothing and food from international markets. ISS also coordinates and provides shuttles to the Social Security and IRS Offices, DMV, airport, and bus and train stations. If other shuttles are needed, students may contact the ISS graduate assistant to see if they can be provided. The Graduate Assistant for International Student Services oversees these events and shuttles, and helps international students’ transition to Campbell. If you would like more information or want to get involved, please contact the Graduate Assistant for International Students at intlga@campbell.edu or 910-814-4757.